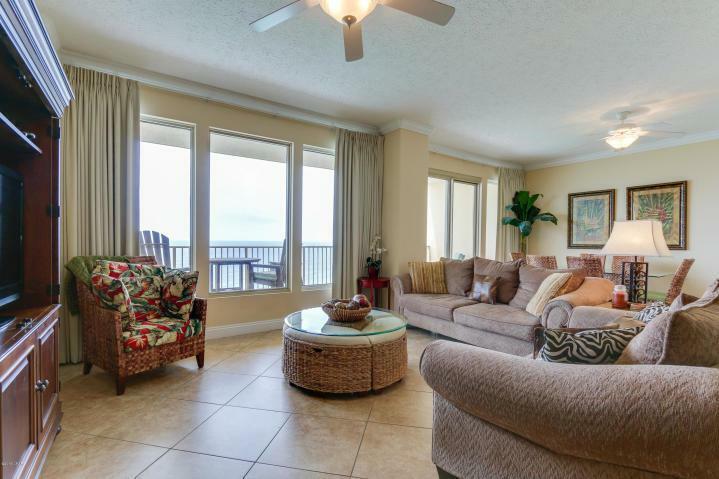 This beach inspired Gulf front 2/2 condo at Gulf Crest is the beach getaway you have always dreamed of! 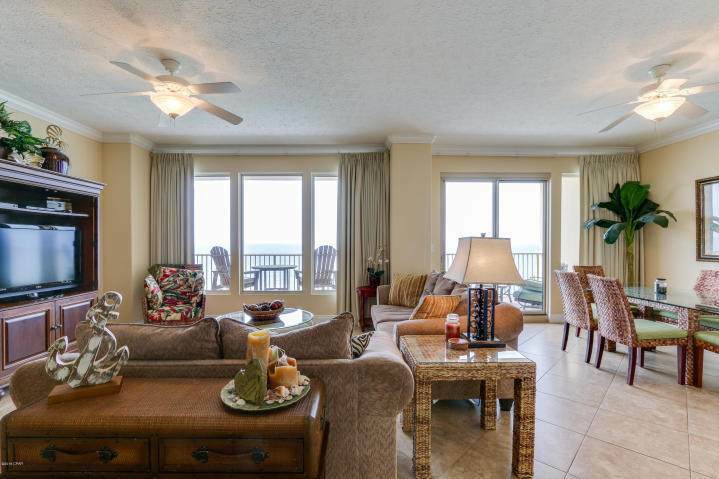 Riveting Gulf views are framed by immaculate interiors, designed with the Gulf of Mexico and sun in mind. Unit will convey fully furnished and rental ready! Meticulously maintained! Hard surface flooring throughout 18'' ceramic in the living area and ceramic plank in bedrooms. The gourmet kitchen features granite counters and loads of cabinet space and is fully stocked and rental ready. 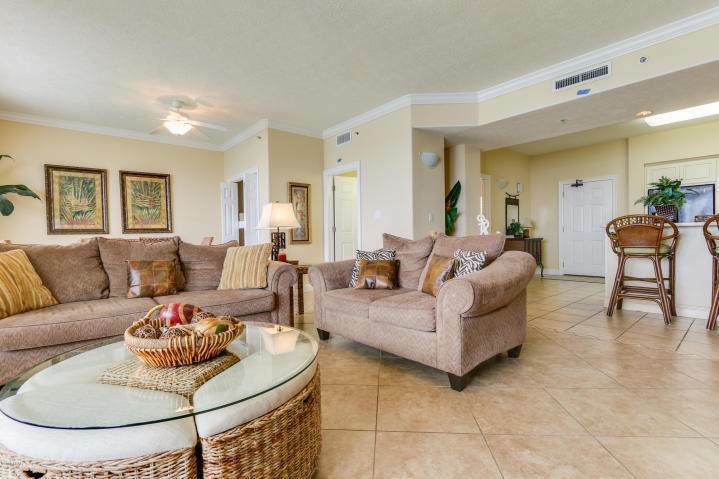 This condo lives large and is spacious and bright! 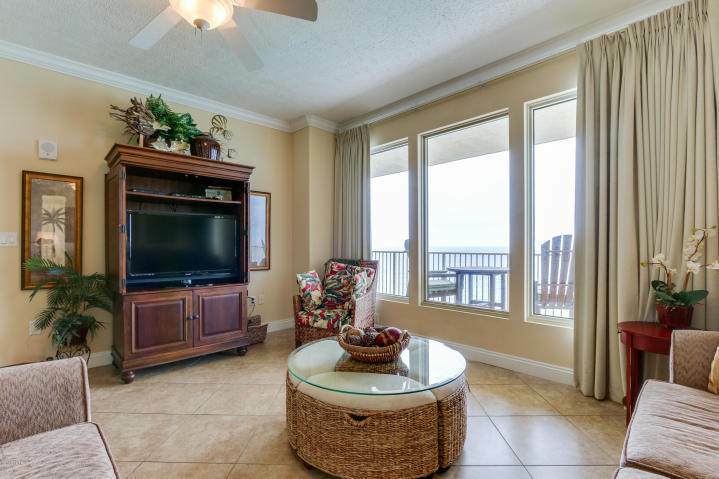 Master bedroom on the Gulf with access to the balcony through sliding glass doors.